It was pirate week at camp and time to make treasure boxes and wear eye patches! So many kids are into pirates these days. Anyone else have "Jake and the Neverland Pirates" stuck in their head now? 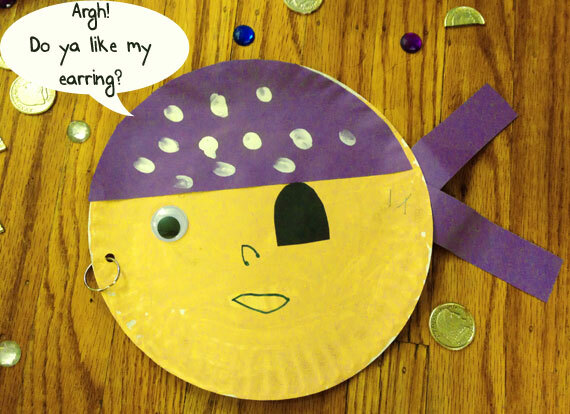 Maya's teacher came up with the cutest pirate themed project for the week! Most of the materials you can find around the house and it can be as detailed as you want to make it!